As far as gaming leaks or reveals go this one ranks pretty low down… getit? Bah humbug, anyway according to a post on gamingbolt; Rockstar games recently held a press event in Warsaw Poland and one of the attendees thought it would be a good idea to post an AMA on reddit about it. 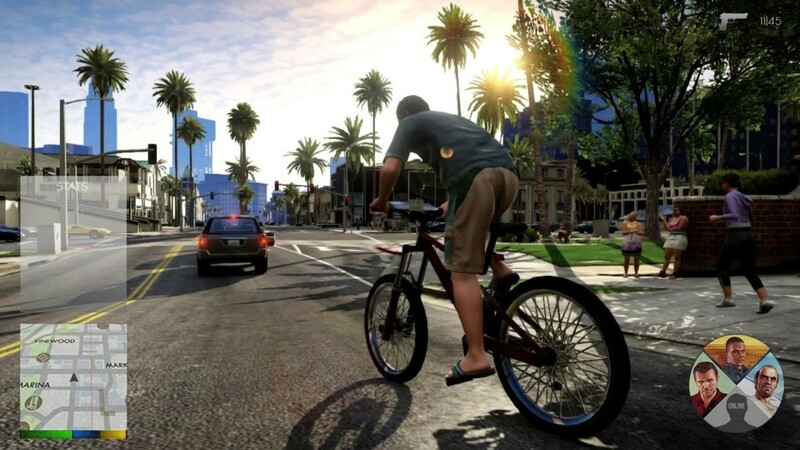 Obviously Rockstar found out and shut that down quickly but not before some information was leaked and now we can bring you the shocking unconfirmed news that in Grand Theft Auto V you can swim (possibly).. and any fish you encounter will have AI and they will try avoid you – just like a next-gen game! That wasn’t all though. The poster also mentioned that they are using the same styled weapon wheel as in Red Dead Redemption and that while you are in the weapon wheel the game itself is slowed down. However Rockstar mentioned that this may not make it into the final version. The targeting was a mix between RDR and GTA IV and you are still going to be required to put a lot of bullets into people to get them to go down in GTA V.
The last bit of information was that the mini map will no longer be a circle but will now be a square with some 3D styling to make it easier to see which way you are currently heading. So that’s it, we have a mock screenshot that someone has put together to showcase the HUD but in reality we don’t have much. Again this is no surprise as Rockstar are famous for protecting their IP and marketing machine. On a side note, while I love that someone has leaked info so we have news to post I struggle to understand why someone would ruin their possible gaming career by leaking such useless information? It doesn’t make sense to me. Next article We review Fast & Furious 6 – Vroom vroom, boom boom, fun fun!